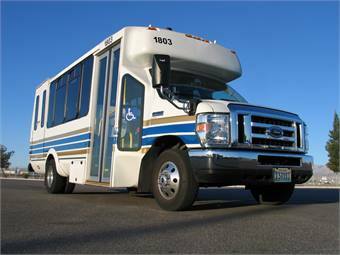 Las Vegas-based Regional Transportation Commission of Southern Nevada (RTC) awarded a paratransit service contract to Veolia Transportation. The contract is one of the largest paratransit contracts in the U.S. and represents $409 million over 10 years, according to Veolia Transportation. The service is estimated at approximately one million passenger trips annually. The contract term is five years with one three-year, and one two-year renewal options. The new contract, which includes scheduling, maintenance and operations, is scheduled to begin in August. Veolia will employ 570 staff members, including 449 drivers operating 308 vehicles. The paratransit services operations will be housed at both RTC facility locations to better serve the Las Vegas community.